During my trip around the world I also had a stop in New Zealand. I've dreamed about a travel to New Zealand for so long and it feels indescribable to express my feelings and the experience in total. It's just a fact that New Zealand is unbelievable beautiful..
With its variety of colorful landscapes and its hidden treasures it felt hard to pause taking photos. New Zealand has so much to discover and even tough I struggled with the winter season and weather I would do it all again. As I wanted to explore every bit of this beautiful country I decided to send myself on a long travel. I travelled about 2000km trough and within New Zealand, all on the bus. I can highly recommend taking the bus when traveling through New Zealand. I might have a driving license but the roads are very adventurous and in terms of exploring one will feel a lot more comfortable by having a warm seat next to the wide windows and watch the wild landscapes outside, I can promise one will fall for these views. I came in to New Zealand from Bali and had my first stop in Auckland. To be honest, I only spent a layover in Auckland but I'm made myself sure to get one of the best impressions of Auckland while discovering it by night. I booked myself for a dinner cruise though Auckland with explorer. Explorer also offers other tours which I highly recommend scouting out for. However, I can tell the dinner cruise was a magical experience for me. Settled with a small group of 5, including me I had a fancy dinner and watched Auckland and its colorful skyline by night. In New Zealand, it's always worth to look up. I bet none of you ever saw so many bright starts and shooting stars in one place. I used to go to planetariums regularly but this simply can't compete with anything I could experience yet. The dinner cruise took 2,5h and included snacks, a welcome drink, a main course and a dessert. I really enjoyed the tour and will watch out for a day tour next time. Explorer is a good partner in terms of (spontaneous) booking and I can highly recommend their tours. I have stayed in an Airbnb in Auckland and met one of the most inspiring and kindest person named Joe. He is originally from New Zealand and such an honest and lovely soul. The apartment was located very centered and it was only a 7-minute walk to Queen street, where one will find the center of Auckland, all the shops and things to do. Please note that this was a private booking. I just wanted to give a shootout to Joe, who felt more like a friend I knew for ages. I'm very glad for this experience. On the next day, I took the overnight bus to Wellington with Intercity. I also did all my other bus rides with Intercity and can recommend them. They have an easy online booking, kind drivers and clean busses, while most of the busses also offer complimentary internet access. After an 11-hour bus ride I arrived at the Wellington central station and took a car to my apartment. I sadly didn't spend much time in Wellington and couldn't explore anything of the city. It was more like a short layover as I had to catch the ferry on the other day to travel to the South Island. As most of you might know, New Zealand is basically split into the south- and north island. Instead of using the plane one should take the ferry. It takes about 3,5h from Wellington to Picton and one will have direct access to bus coaches and trains from the inter-island terminal. Their booking service is amazing. I had to reschedule my trip about 3 times and the support was amazing. Also, the ferry is very clean and offers a wide range of entertainment, so as a movie theater, restaurant and many more. Please note that these services are on an extra charge. On the 10th floor one will discover the upper deck, where I took plenty of photos and short video clips. It has been such an outstanding experience for my tiny self. This was my first ferry experience ever and I loved it. It is still a secret wish of mine to do a long-term cruise and now I'm even more sure to do this kind of cruise trip in future. Arrived in Picton I just quickly picked up my luggage and took the bus to Nelson. Nelson is a super, super small place. The whole city feels more like a short walk through the mall as there isn't much to do. However, it's a lovely surrounding and it was a nice and cheap place to have a short stop after a long journey from Wellington. From Nelson on I took the bus early in the morning. Everything went smooth again and the road was stunning. 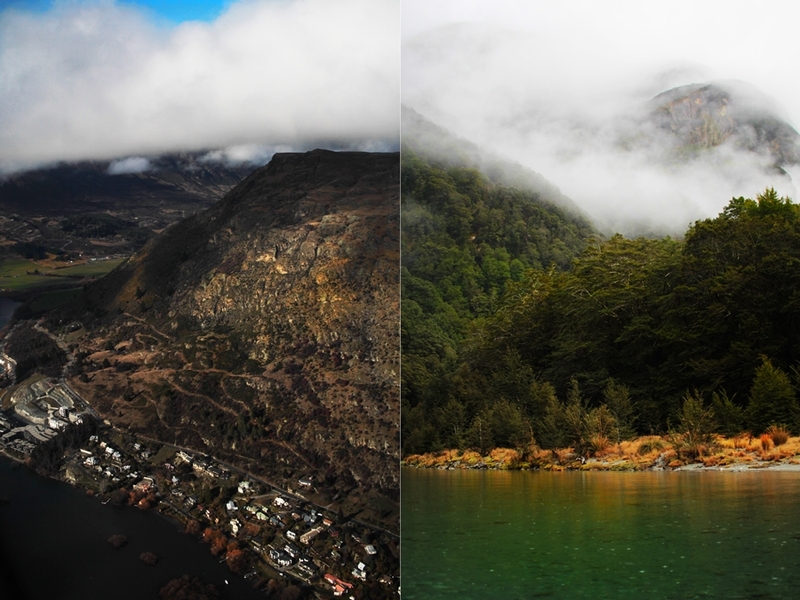 It was a 5-hour trip to Greymouth and the colorful landscapes and drives through the mountains took my breath away. 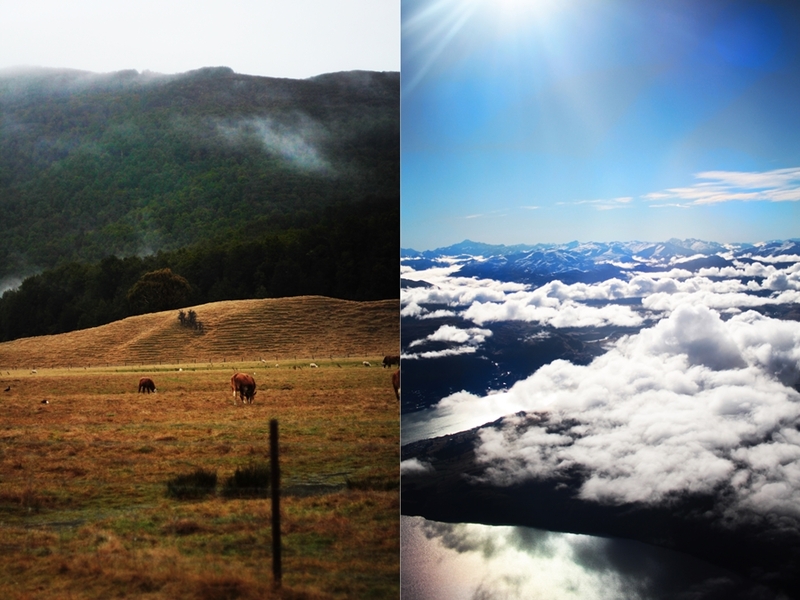 Walking through clouds can be an actual thing over there in New Zealand. Basically, I feel deeply impressed by all this beauty. It's so real, so unique and so clean. New Zealand doesn't need another roller coaster or a crazy hyped restaurant to make itself special, if already has such a worthy gift from Mother Nature. I definitely want to come back during summer season to be able to explore more activities. As I'm on a trip around the world I couldn't pack too warm and ended up layering 10-15 shirts,2 sweaters,5 leggings and 2 jackets every day, not to forget the 5 pair of socks. It might be a stereo type but people in New Zealand are extremely friendly, like for real I mean extremely. Everyone is so nice to each other and it feels safe. Event for me as a super packed young solo traveler I was surprised by the trust of some people, leaving their backdoor open all the time. Also, communication is no matter. People speak English with a very original accent which is still easy to understand. On the way to Grymouth our bus drove through the Paparoa national park and stopped at the pancake rocks blowholes. The pancake rock blowholes offer breathtaking views. A round walk is about 20 minutes. Arrived in Greymouth I explored the west of the South Island. Greymouth is like Nelson a very small "mall-a-like" place that is a little hidden but directly connected to the water (beautiful views included). As my trip to Greymouth was scheduled as a layover on my way to Christchurch I wasn't intended to do that much. Referring to the fact what I was still freezing I basically enjoyed cooking something for myself in the apartment and getting ready for the trip to Christchurch the other day. I took the west coast shuttle for my trip from Greymouth to Christchurch. The 4-hour trip spoiled me with a beautiful view of New Zealand's most beautiful roads. Snowy mountains, huge peers of sheep and lonely roads, framed by the colorful trees and small lakes. With every day that I spent in New Zealand I just got more excited and impressed by this untouched and natural beauty which one will find over here. I can just say it repeatedly - I've never seen a place like New Zealand in my entire life and I'm pretty sure that there is also no other place like New Zealand. It's truly a breathtaking destination and yet not comparable which anything else. Christchurch was my last stop before finally heading to Queenstown for the last two days in New Zealand. Christchurch is still a small place and it suffered pretty bad of an earthquake 7 years ago, which damages are still visible. Different from other places that I've been to in New Zealand I was surprised that the streets are even. In general, I didn't really look forward sights or special city attractions. I truly felt in love with the landscapes and the abandoned and quiet places. Most of the photos were taken on the bus or while the driver had a break. One will discover so many hidden spots when driving through New Zealand so please make sure to skip the plane and go for trains or even better the busses. I only had one full day and I went on a cruise with dart river which has been the one of the most beautiful experiences in my life. One can't image these views and the feelings. It was so beautiful that I even had tears in my eyes. I can highly recommend a trip with dart river. The tours are worth each penny and one will have the time of one's life. The operating busses also supply USB plots for charging and there is also free wifi access at the dart river office. I really want to come back in summer and explore another tour. On my last day, I just walked through Queenstown and sent a few postcards. I truly had the time of my life in New Zealand and I'm looking forward to coming back. I still struggle to find words for my unique experience in New Zealand but one must do and experience all of this just by their selves. New Zealand offers everything for everyone and each trip is different. I'm so happy that I made so many friends over here. This is definitely a must do travel. Oh gott sind das wunderschöne Fotos. So perfekt!